Well, it’s that time again. My little bag under the sink was getting a little full after the past two months of storing my emptied product containers, meaning it’s time to share what I’ve recently finished up. I don’t have any makeup empties this month which isn’t surprising to me as it takes me forever to finish makeup products, but there are a fair amount of skincare & body care empties. On a side note, I finally found a way to make my posts appear in the wordpress reader as self hosted. When I originally started my blog I had an alwayscleia.wordpress.com domain, so I’ve been reblogging my new posts on that account so that new readers can find them. If you’re already following me on alwayscleia.com you don’t need to refollow on the wordpress one or else you’ll see double the posts in your followed sites. The Body Shop Strawberry Body Butter I love The Body Shop’s body butters. My favourite scent is Satsuma and I would probably purchase that scent next instead of the strawberry. This cream is so nourishing, I always leave it by my bedside so I remember to use it before bed. Fresh Soy Face Cleanser My HG cleanser, why does it have to be so expensive!? I typically buy this in between using other cleansers because I can’t afford to buy this cleanser every time I run out. Tarte Maracuja Oil I just can’t get into face oils. Once in a while I’ll use them overnight on my face and I’m always surprised as how nice my skin looks the next morning, but I just can’t stand how greasy I feel when I do. I took a suggestion from Tati and started adding a few drops to my bath for extra hydrated skin. I don’t think I’ll be repurchasing, this oil is expensive! Marc Jacobs Daisy Perfume Sample I’m torn about whether or not to purchase this full size. I love the scent so much, but it doesn’t last on me at all! After an hour or two I couldn’t even tell I was wearing perfume. Maybe I’ll just pick up a rollerball. Dove Dry Spray Deodorant I love dry spray deodorant, I don’t know why but it lasts so much longer on me than stick deodorants. Maybe because it doesn’t apply creamy/wet like a stick? Nivea Gentle Eye Makeup Remover I very strongly disliked this makeup remover. Even when I’m not wearing waterproof makeup I found I needed to tug a lot on my skin with the cotton pads to get all my makeup off. I’ve since switched to Lancome Bi-Facil and I love it. Garnier Nutrisse Rich Nourishing Conditioner Cream This conditioner came with a hair dye kit that I used when I redyed my hair purple a few months ago. It made my hair super soft but I don’t know that it really locked in the colour any more than regular conditioner. TresEmme Hair Spray This hair spray had pretty good hold but it wasn’t anything particularly special. I may or may not repurchase, I don’t really care too much when it comes to hair spray. Ouai Treatment Masque Now this is product that warrants a repurchase. I loved the way this Ouai treatment made my hair feel after 20 minutes of soaking in the bath. It’s like a very deep conditioner. I love using it after I get my hair dyed at a salon, it softens all of that dry frizziness that takes over my hair after getting colour treated. Manefit Mugwort Atringent + Pore Care Mask Honestly this mask didn’t stand out to me very much. Sheet masks never do, I rarely see an immediate effect from using sheet masks so I haven’t been buying them as much as I used to. This mask smelled really nice but I don’t think I would repurchase. NuFace Prep-N-Glow Exfoliating Wipe I liked these cleansing/exfoliating/hydrating wipes but I think they’re way too expensive to warrant a repurchase. I got a sample wipe from a Sephora order. What’s in your product empties this month? I have a million of those Garnier conditioners since I dye my hair every few weeks – I don’t think they’ll ever finish! I agree, that Ouai hair treatment is amazing! Haha It takes me a long time to use up even one! I’m so sad you don’t like face oils! I can’t go back to not using one, although I do agree that they are greasy as hell. I only use them at night because of that, but I don’t like the idea of it getting on my pillowcase. Dang, that Ouai mask looks awesome. I really want to try a few products from them – their stuff smells amazing. Totally agreed that Satsuma is the best scent from TBS! I was sad when this mini ran out! I’d love to repurchase but ouai products aren’t cheap. I actually haven’t used the TBS body butters in YEARS so it would be nice to buy them sometime soon. It was the Shea one I tried before I think. Oh that’s crap that you didn’t like the Nivea eye makeup remover at all! I like their 2in1 one (with the oil and liquid which you need to shake). They’re a classic! They also just came out with a body yogurt formula which I’m super curious to try. I was pretty disappointed, the 2 in 1 sounds nice though, I just switched to a oil/liquid formula as well. Glad you liked it too! I would definitely repurchase their body butters but I might get the mini next time so I use it up in a more reasonable time frame. Thanks for reading! I’ve never heard of that range, it sounds lovely! I think it was being discontinued which is why the products were on sale. The body butter is velvety smooth and feels very luxurious! I love the smell of the strawberry body butter! Although I find it takes too long to absorb, which can be a bit annoying. But it is super hydrating! I really want to try the new body yogurts that were just released from TBS, maybe they’ll absorb better! I hate going to bed with lotion on because I feel like I can’t move around a lot cause I stick to the sheets ☹️ I haven’t heard about those! Have you tried The Body Shop Body Yogurts??? You should Cleia! It feels and smells wonderful! Also I need to try a dry deodorant spray! It sounds so interesting! This month I am trying to use up some brow products and mascaras. I haven’t yet no, I saw that they just released them! I absolutely need to pick one up! I can’t go back to stick deodorants, the spray versions last so much longer on me. I need to get my hands on the spray deodorant then! As soon as I’m out of my current one! 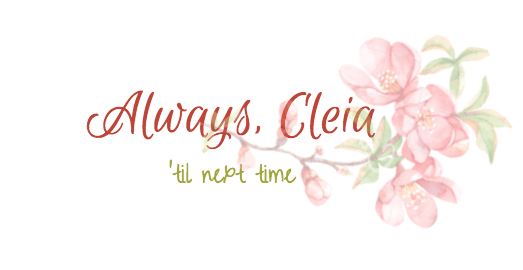 Really great post, Cleia! 💖 I’m the same way about hairspray too, it’s just pretty…meh. Haven’t even been wearing it lately cause it dries out my hair. Also, ooh I really love the scent of Dove’s cucumber deodorant. I have the body wash, which is now close to empty. lol! Thanks Nunzia! Unless I curl my hair (which is almost never) I don’t bother with hair spray. I love cucumber scented body care products, I used to always buy the B&BW cucumber body wash but then they discontinued it 🙁 I’ll have to pick up the dove version! The Body Shop body butter is HEAVEN! Agreed, I haven’t found another that compares! Thanks for reading! Some months I have nothing and then a few months later I’ll finish a whole bunch of products at once. I love clearing out my shelves! It’s the worst, its so good but I can’t afford it every time I run out. Do you have a favourite from Ouai? I’ve only tried the one product.